In the U.S. alone, we conduct over 12 billion web searches every month. Of those 12 billion searches, 33% of the total traffic for each search term is going to a single place: Google’s top-ranked organic search result. Given those crazy stats, improving your search engine ranking for relevant keywords is a wise goal—but how, in light of constantly changing rules and algorithms, can we position our business to claim that lucrative top spot? Thankfully, Google’s latest algorithm updates have made SEO simpler than ever before. To rank above your competitors, there’s one simple thing you need to do: create great content. How Does Google Calculate Search Rankings? 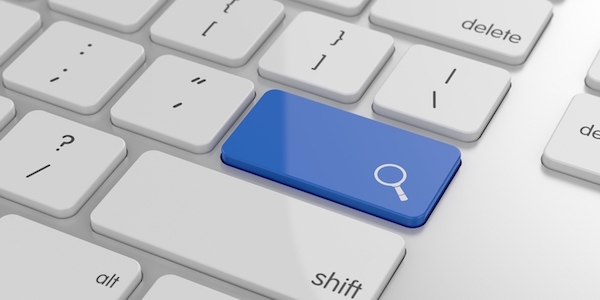 Search engines exist to fulfill a very simple need: connecting people to information. When a user searches for a product or a service, Google strives to scour the web to find the most relevant and useful bits of content available. In other words, Google is trying to emulate us—the readers—in determining the quality, relevance, and benefit of a website’s content, and ranking it accordingly. Google relies on its search algorithms to scan, analyze, and rank the world’s web content. It’s these behind-the-scenes calculations that determine where your blog posts and web pages will rank for specific search terms. Crucially though, terms like quality and relevance are pretty subjective. There are no black-and-white ways to filter content by these qualifiers, so Google has to rely on heuristic metrics that provide a close (but not perfect) approximation of quality. There’s a serious problem with this approach, however: it can be manipulated. As people started to figure out some of the metrics that informed Google’s search engine rankings, it became possible to intentionally alter content to “cheat” the system. Keyword stuffing, backlink manipulation, and paid blogging networks were all techniques used to successfully undermine Google’s algorithms, helping low-quality content leapfrog to the top spot. In order to fight back, Google constantly updates its search algorithms. As their technology has grown more powerful, their list of quality metrics has grown more diverse and complex—creating algorithms that are more accurate and harder to manipulate. Google’s Panda update was released to penalize short, unoriginal content. Penguin was created to single out businesses that manipulated and/or bought backlinks for their content or websites. Hummingbird was designed to improve semantic search (the way Google determines the relationship between the keywords we search for and the results we want to find). Pigeon was developed to improve Google’s location-based search ranking. The entire search engine seems destined for a complete overhaul, with accurate, verifiable facts set to replace links as Google’s primary search metric. We’re also set to see future algorithm changes happening more frequently, and with less fanfare, as the search giant moves toward a rolling system of continual updates. Every one of Google’s updates has been designed to help the search engine more closely mirror real users, and identify the most relevant, helpful content available. Their increasingly complex algorithms mean it’s harder than ever to “beat” Google, but it also means that great content has a better chance than ever to rank highly—by sheer virtue of being good. Search engine optimization is no longer a cat-and-mouse game of exploiting Google’s temporary loopholes. Instead, the goal posts have been firmly fixed in place. To rank high in search engine results, you have to create valuable, helpful, relevant content. That’s it. Comprehensive: don’t cut corners. Strive to be the best, most complete answer anywhere on the web. Epic posts won’t hurt either! So You Want to Improve SEO? Improving your search engine rank has never been simpler. Instead of writing with search engines in mind, write with the end-user in mind. As well as improving user experience, educating visitors, and earning the trust of potential customers, you’ll also see your rankings shoot up. Why? Because if you can create content that impresses real people, you’ll impress the search engines as well.